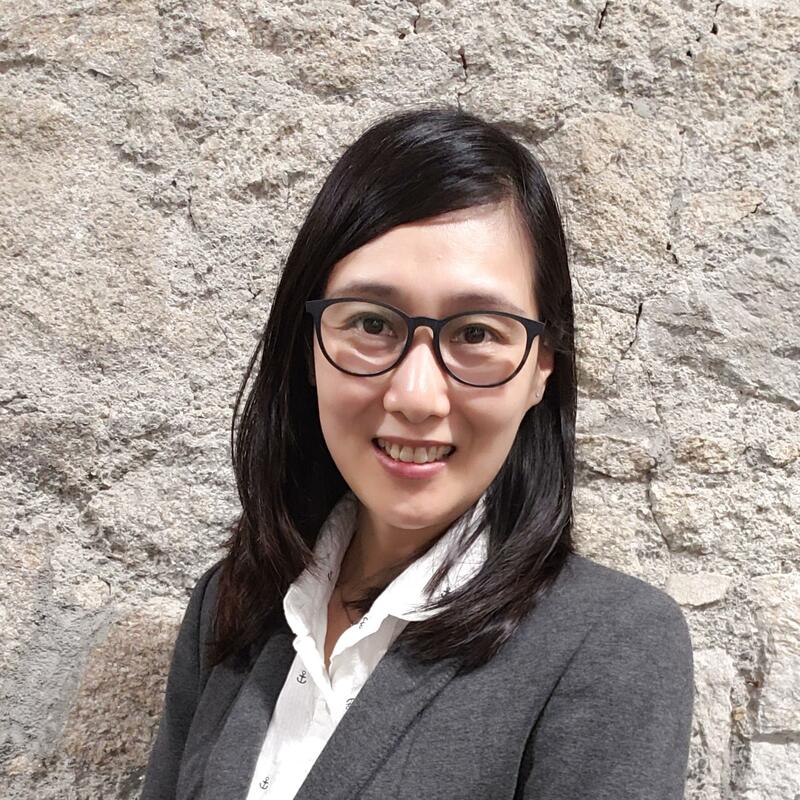 Dr. Choi Wai-man Anna, is Associate Professor in Department of Social and Behavioral Sciences in City University of Hong Kong. She is also a registered social worker, an accredited family mediator and approved counselling supervisor (HKPCA).. Her research area is intimate partner violence (IPV) and family conflict, specifically gender and culture issues in family context. Her latest work focuses on the women’s use of force and male victim of IPV, funded by the RGC’s General Research Fund (GRF) 2015/2016 and RGC’s Early Career Scheme (ECS) 2013/2014. Besides, some projects on high-conflict and violence in divorce/separation were conducted, including an Evaluation Study of the Pilot Scheme on Children’s Dispute Resolution commissioned by the Judiciary in 2013-15 and a study on the Child-Visitation Service commissioned by Po Leung Kuk was commenced in 2015-18. Anna had previously worked in various service settings as a frontline social worker and a center-in-charge, she has tremendous experience in handling couples conflicts and addressing the needs of families with violence. Social Work Practice Research on Young Parents, Evangelical Lutheran Church Social Service – Hong Kong , Amount: HKD $150,000, 10 Nov 2018 - 31 Mar 2021, PI. Effectiveness of the "Jockey Club Co-parenting 8 Plus" - child focused education program and its impact on the divorced parents, Hong Kong Catholic Marriage Advisory Council, Amount: HKD $240,000, 1 Aug 2018 - 31 Mar 2021, PI. To explore the path of Chinese women’s use of force in intimate relationships: motives, acts and outcomes., RGC General Research Fund 2015/16, University Grant Council (UGC), , Amount: HKD $548,500, 1 Jan 2016 - 1 Dec 2018, PI. An evaluation of the effectiveness of Po Leung Kuk child-visitation service and the development of a local child-visitation model, Contract Research Grant , Po Leung Kuk, Hong Kong., Amount: HKD $250,000, 1 Jan 2015 - 1 Dec 2018, PI. Male Victims of Intimate Partner Violence in Hong Kong., RGC Early Career Scheme 2013/14, University Grant Council (UGC), Amount: HKD $521,320, 1 Jan 2014 - 30 Jun 2016, PI. Evaluation Study on the Pilot Scheme on Children’s Dispute Resolution for the Judiciary, Contract Research Grant , Judiciary of the Hong Kong SAR, Amount: HKD $688,000, 1 Jun 2013 - 2 Jun 2015, PI. Wang, L. , Wu, Q. & Choi, A.W.M. (2017). Negative emotions as risk factors for self-directed violence and intimate partner violence in Chinese college students. Journal of Interpersonal Violence. 1 - 27. Wong, J.Y.H. , Choi, A.W.M. , Fong, D.Y.F. , Choi, E.P.H. , Wong, J.K.S. , So, F.L. , Lau, C.L. & Kam, C.W. (2016). A comparison of intimate partner violence and associated physical injuries between cohabitating and married women: A 5-year medical chart review. BMC Public Health. 16, 1207. Choi, A.W.M. , Wong, J.Y.H. , Kam, C.W. , Lau, C.L. , Wong, J.K.S. & Lo, R.T.F. (2015). Injury patterns and help-seeking behavior in Hong Kong male intimate partner violence victims. Journal of Emergency Medicine. 49. 217 - 226. 1 Apr 2018 - 31 Mar 2020, Member of the Research Ethics Committee (REC), Youth and Family Section of Tung Wah Group of Hospitals Community Services Division.Hong Kong. 1 Sep 2016 - 30 Jun 2018, Chief Editor, Hong Kong Journal of Social Work.Hong Kong. 1 Apr 2016 - 31 Mar 2018, Service Consultant, the Project “When Teens Meet Angels” of the Central Youth Service, The Evangelical Lutheran Church of Hong Kong..Hong Kong. 1 Jan 2016 - 1 Dec 2018, Member, District Coordinating Committee (DCC) of Domestic Violence and Family & Child Welfare (Eastern and Wan Chai).Hong Kong. 1 Jan 2015 - 30 Aug 2016, Associate Managing Editor, Hong Kong Journal of Social Work,.Hong Kong. 19 Dec 2013 - 28 Feb 2020, Member, Volunteer Family Mediators Group, the Mediation Centre, Hong Kong Family Welfare Society.Hong Kong. 1 Apr 2013 - 31 Mar 2019, Committee member , the Advisory Council of the Po Leung Kuk (family crisis support services)..Hong Kong. 9 Jul 2011 - 31 Dec 2017, Specialist, The Hong Kong Council for Accreditation of Academic and Vocational Qualifications (HKCAAVQ).Hong Kong. 19 Aug 2018 - 22 Aug 2018, Choi, A.W.M. Teenage Parents' Stress and Relationship with their Family: Risk for Family Violence, Presented in the Asian Family Summit (AFS), Hong Kong. 4 Jul 2018 - 8 Jul 2018, Choi, A.W.M., Lo, R.T.F., Chan, P.Y. Understanding the family interaction in women’s using violence in intimate relationship from the voice of Chinese women. Presented in the the , Dublin, Ireland. .
1 Nov 2017 - 4 Nov 2017, Choi, A.W.M., Wong, J.Y.H., & Lo, R.T.F. In-law hostility against women within family in a Chinese context. Presented in the 4th Annual Conference, Asian Academy of Family Thera, Tsukuba, Japan. 26 Sep 2017 - 28 Sep 2017, Wong, L.C.L., Choi, A.W.M., & See, M.L.M. Is co-parenting a re-traumatization for battered women? The needs of battered women on co-parenting after separation from practitione, San Francisco, California, USA..
26 Sep 2017 - 28 Sep 2017, Wong, L.C.L., Choi, A.W.M., & See, M.L.M. Systematic review on parenting and dating violence in adolescents and young adults. Presented in the 22nd International Summit on Vio, San Francisco, California, USA..
21 Sep 2017 - 27 Sep 2017, Choi, A.W.M., Wong, L.C.L., & Chan, P.Y. Explore Chinese women’s motives, acts and outcome of using force in intimate relationship. Presented in the 22nd International Summit , San Diego, California, USA..
3 Nov 2016 - 5 Nov 2016, Choi, A.W.M., Lo, R.T. F., Wong, J.Y.H., & Kam, C.W. The risk of post-separation violence faced by Chinese abused women and its implication in interventions. Presented in the 5, Seoul, South Korea. 3 Nov 2016 - 5 Nov 2016, Wong, L. C. L., Choi, A. W. M., & See, M. L. M. A systematic review on co-parenting pattern after divorce and children’s well-being: Implication on practice and research. Paper, Seoul, South Korea. 27 Jun 2016 - 30 Jun 2016, Choi, A.W.M., Wong, J.Y.H., Lo, R.T.F., & Kam, C.W. Abused Women’s Valuation of Social Roles and Its implication on Practice. Paper presented in the Joint World Conference on SWSD., Seoul, South Korea. 27 Jun 2016 - 30 Jun 2016, Choi, A.W.M., Wong, J.Y.H., Lo, R.T.F., & Kam, C.W. Characteristics and help-seeking pattern of mutual violence couples Paper presented in The Joint World Conference on SWSD., Seoul, South Korea. 19 Jun 2016 - 24 Jun 2016, Choi, A.W.M., Wong, J.Y.H., & Kam, C.W. Different Help-seeking Behaviors among Male and Female Patients of Spouse Battering Cases: Implication on Intervention and Prevention. Paper, Singapore.